The perfect pair of first flip flops for the footwear newbie. Casual comfort with cuteness to boot. Choose from a variety of colors and prints that harness his individual style. 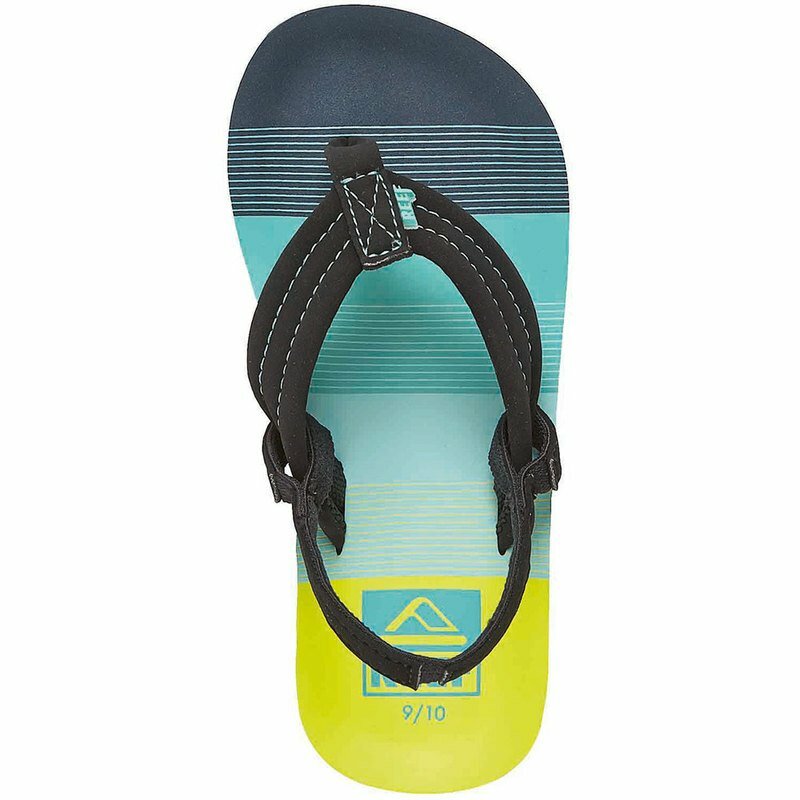 Synthetic strap with soft polyester lining and contoured eva footbed for added comfort. A back strap ensures a secure fit and dependable mobility. Durable, high density eva outsole for long lasting wear. Only sizes 3/4, 5/6, 7/8 and 9/10 come with a removable synthetic backstrap.